Elite Insurance Agency, which specializes in commercial insurance, has been chosen to represent Berkshire Hathaway Commercial Insurance Company in the State of Michigan, Ohio and Nevada. For more information, you can check out Elite’s website. 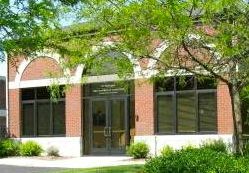 Elite Insurance Agency is located at 3399 E. Grand River Ave., Suite 201, Howell. You can contact President Matt W. Ikley at 517.545.9325.